A new book on radar, "The Radar Book" by experienced mariners MaxH.CarpenterandSamuelM. 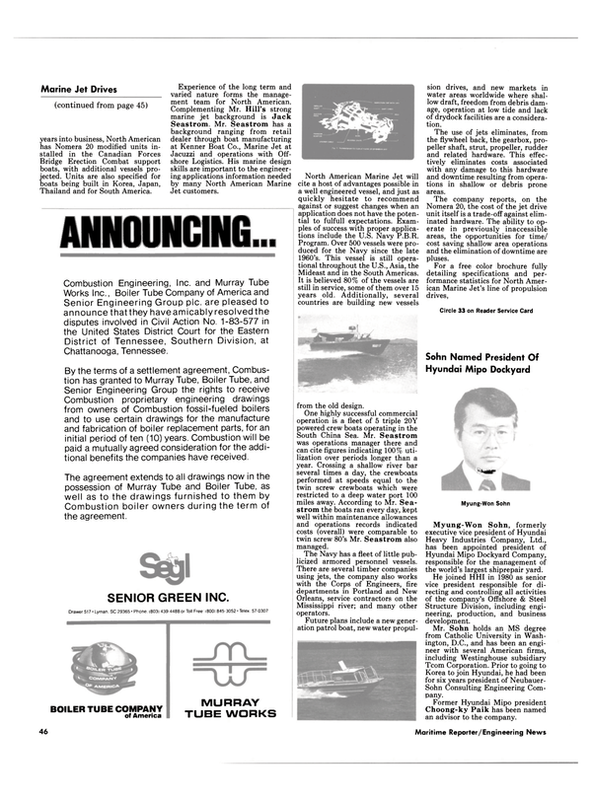 Van Wyck, was published recently by Cornell Maritime Press of Centreville, Md. Both authors teach at the Maritime Institute of Technology and Graduate Studies in Linthincum, Md. The book provides instruction in the use of radar as a tool for basic collision avoidance, plotting, navigation, and piloting. It also includes several self-testing quizzes, and it contains scores of diagrams of actual radar plot situations, related to actual experiences. Of special interest to the professional is the section devoted to preparation for passing the U.S. Coast Guard licensing examinations examinations, both in written form and in the simulator. The Radar Book is available from Cornell Maritime Press, Centreville, Md. 21617, at $17.50.